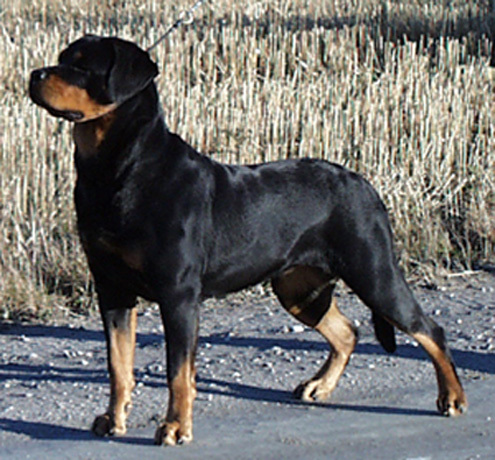 Our Dogs / Breeding -Dogs / Rottweiler. Nuch Kneikas Ariel 2 years old. Nuch Timmian 2,5 yeas old. Hello to you all out there. My name is Paul Anderssen and I am the owner of Kneikas Kennel. I am 46 years old and I am born in Oslo, the capital of Norway. I started my breeding of Rottweilers in 1997, and my goal then and now is to get that "good old type" of Rottweilers back. I want quality before quantity. My first experience with dogs was my families German Sheppard when I was 5 years old. I got my first Rottweiler in 1987. Kneikas Kennel bought its first and second Basenji in 1999. 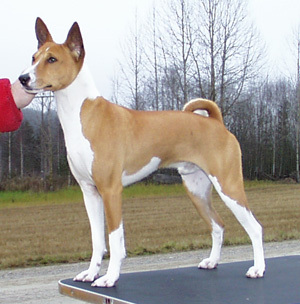 The breeding of the Basenji started in 2003. All dogs the Kennel have produced, you can see on the page: Dogs we've produced. Kneikas Kennel have delivered 21 litters. All combinations with pedigrees and pictures, you can see on the page: Our Breeding Combinations. We are expecting Rottweiler puppies in the middle of April 2015. You can read about the combination on the page: upcoming litters soon.